Bobby Van’s Steakhouse has earned its place as a venerable New York institution, thanks in part to a continued commitment to cooking techniques perfected years ago by the founding fathers of New York steakhouse cuisine. Celebrating its 48th Anniversary this 2017, Bobby Van’s has grown from its original home in Bridgehampton, NY, and now includes a repertoire of ten fine restaurants that offer the refined style of a classic New York City steakhouse. The newest addition is Bobby Van’s on 40 Central Park South, a highly coveted location just steps away from the Plaza Hotel, and overlooking Central Park. The new restaurant officially opened its doors in late March 2017, inviting diners to the same exquisitely prepared dining experience as its sister restaurants, in addition to a special Saturday and Sunday brunch. The new restaurant is proud to announce Executive Chef Ted Rozzi who has crafted a menu of delectable dishes such as Crispy Calamari, Lemon Pepper Shrimp and Maxie’s Meatballs for Starter and Veal Milanese, Chilean Seabass and N.Y. Sirloin Steak for Entrée. The restaurant also offers a wide variety of dining options outside of prime beef and seafood, including supremely-prepared pastas, wood-fired pizzas and freshly tossed salads. To accompany the meal, diners have a choice of delicious sides, which include Cauliflower Carbonara, Thick Cut Applewood Bacon and Sautéed Mushrooms. 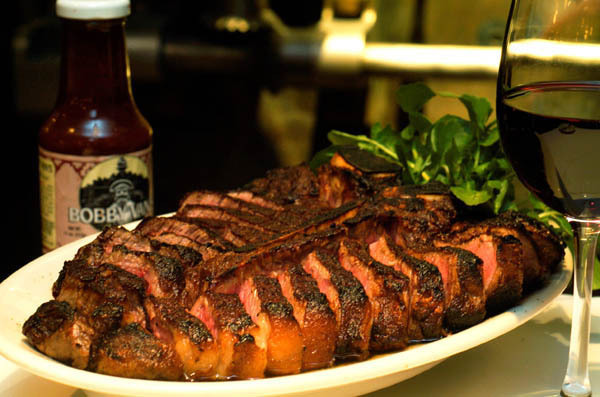 quintessential steakhouse, Bobby Van’s is at the roots of the New York steakhouse family tree, with strong employee connections to original famed eateries. 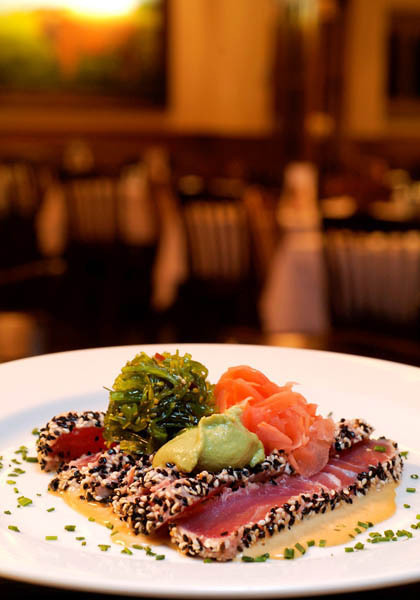 It is restaurants like Bobby Van’s that have inspired a legion of imitators, but Bobby Van’s still shines as a premier authentic steakhouse. When restaurateur and Chef Robert Dickert – the great-nephew of steakhouse legend Peter Luger – joined the Bobby Van’s team in 1996, he brought with him a wealth of family knowledge and tradition. These traditions of quality food and superior customer service are still the hallmark of Bobby Van’s dining experience today. Dickert remains at Bobby Van’s where he helps to oversee the all-important process of selecting and dry aging the kitchen’s quality prime beef. The process of dry aging its USDA prime quality beef is key to developing the superior flavor of Bobby Van’s’ steaks, which they do “the old fashioned way”. Once the team has carefully selected well-raised and well-marbled steak, it is aged in a specially-designed, humidity-controlled room for up to 28 days, which tenderizes it and enriches the flavor. Prime beef aside, the kitchen imports the majority of their seafood from overseas, selecting only the best. The tuna is sourced from the Maldives, the Branzino from Spain, and the salmon from Scotland. Locally, Bobby Van’s seafood supplier has a fleet of 30 fishing boats providing the kitchen with the freshest fish and shellfish daily. Bobby Van’s décor is elegant yet warm with white table cloths and wood accents. It is the ideal dining destination for an intimate dinner as well as for larger groups or special occasions. The Central Park location offers beautiful views in a convenient and central location.